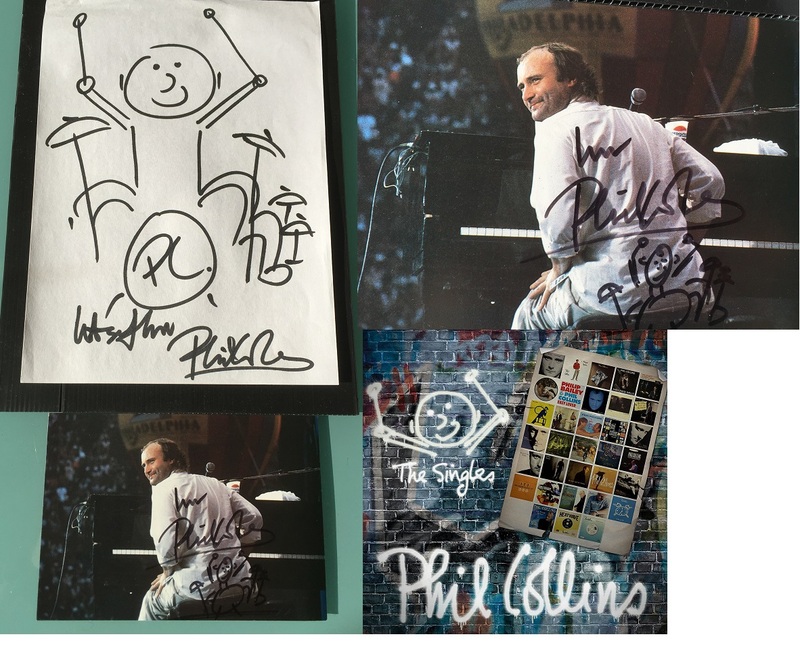 This is a wonderful pair of unique signed Phil Collins items. Stunning 8" x 10" self portrait sketch by Phil Collins performing on the drums . in fine condition. Very Rare ! Also comes with a 7" x 5" signed photo of Phil Collins on the piano with another mini sketch of the same drummer -They look awesome together. Phil Collins has just announce several dates at Royal Albert Hall London for June 2017. 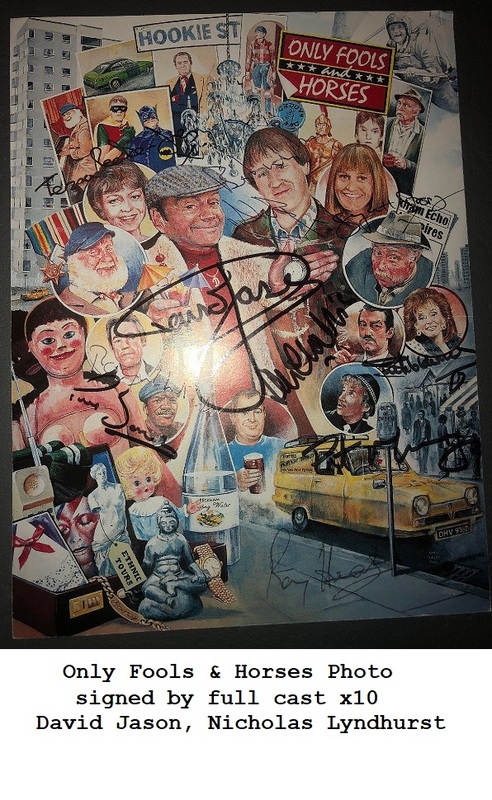 High quality Phil Collins memorabilia will be even more sought after now. Phil Collins - Adds " Lots of Love" on his sketch.